Sportochick's Musings ~ A series of unique love stories that will delight any reader. Adding fairy magic to this story is perfect and Laird Alex Munro of Culmore doesn't believe in such things so it is fun watching this non believer being forced to adhere to clan customs. Cait is a strong woman and I like her position regarding her cousin and the Laird. The back and forth between these two is like watching a table tennis match...exciting. Garrick and Arabel are star crossed lovers with extreme anger towards each other and this lends to a tension filled read. The author's portrayal of their interactions are heartfelt moving this reader to want a happy ending for them. Elizabeth and Alexander both don't want to marry each other and this is where the story gets very, very interesting. This set of authors under the pen name of May McGoldrick knows how to tell an interesting story filled with historic details. I enjoy reading anything they write. What a great plot of intrigue and love lot! Full of rich detail and deep emotions this story squeezed my heart and then filled it up. Sportochick's Musings ~ In the first three books to this series, each sister has an intertwining story giving unique perspectives to the same time span. Portia Chadwick knows she'll never have a life of adventure. But when a dangerous moneylender kidnaps her sister, Portia seeks help from a man known only as Nightshade. Soon she finds herself charging headfirst into his world of intrigue and danger―and unexpected passion. She writes in the early mornings while her young kids are still asleep and dreams of a future when she can write all day instead of going to her "other" job. In the evenings, Amy is a full-time wife and mother who enjoys pizza, wine and dark brooding heroes...namely, her husband. Sportochick's Musings ~ An entertaining hot hot read that keeps the reader guessing to the very end who did what, when, where and why. Seriously Lady Daphne is brilliant but hysterical in her lack of understanding how to relate to people. I can honestly say I know several people just like her and at times they frustrate me and other times they astound me with their high intelligence and way of looking at certain things. So yes Daphne's character is relatable and well written. I also felt that a situation that happened in her past was brought into the storyline with supreme finesse showing part of why she acts a bit strangely and also enriched the mystery part of this book. Dalton Beauchamp, the Duke of Maitland, is just yummy and ever female reader will love him right from the start. His character is honest, caring and thoughtful. Additionally intriguing about him is how he takes his childhood and creates a man with integrity as an adult. There are lots of secondary characters in this story and all of they are fully developed adding full body to an already fun romantic mystery book. I give this 5 STARS for being an entertaining hot hot read that keeps the reader guessing to the very end who did what, when, where and why. Sportochick's Musings ~ A most unusual read with rich historical detail and wording appropriate for it's era. An uncertain bride looks for love with a man as wild and mysterious as his Highland home in this new Scottish romance from a USA Today–bestselling author. Ordinarily, Lady Fiona Ormiston wouldn’t think of forming an alliance with an ungroomed, barbaric Highlander, despite the protection he offers. But now, by request of the king, Sir Adham MacFinlagh, a brazen stranger and outsider unlike anyone she has met before, is to be her husband. Torn from solitude and the comfort of her family to make a home with the rugged knight, Fiona surrenders to Adham’s powerfully passionate—and shockingly tender—touch, only to discover her new husband’s family ties may lie with an enemy of the king. 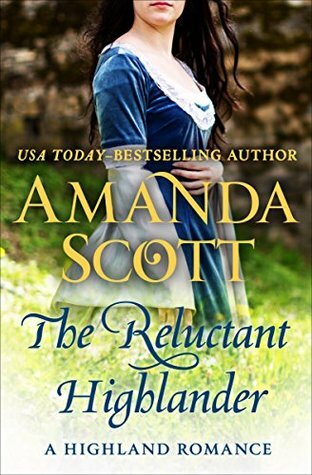 From the author “frequently credited with creating the subgenre” of Scottish romance with her Lairds of the Loch and Secret Clan series, The Reluctant Highlander is a rich historical tale of intrigue and desire (Library Journal). A most unusual read with rich historical detail and wording appropriate for its era. Adham is the main male character who is presented as a man full of integrity, superb warrior abilities and is embedded with a hidden caring that continues to present itself throughout the book. His dealings with Lady Fiona Ormiston and her father caused me to think that there were two extreme sides to his personality. The hardened warrior he presents to all people and the caring side that he rarely shows but those close to him know. Because of this he caught my interest early. Lady Fiona as the main female character drove me a little batty at times. I wanted to shake her because of her carelessness in certain aspects of her life. But this part of her character is indeed her strength at the end of the book and I could see how no other woman would of been the one to be there for Adham in the manner he needed. Seriously, I got wrapped up in the history that is throughout this book and I could feel myself going back in time. It was well done. I give this 3.75 STARS only because I had trouble following the story at times because of the old language that was used and most of us are not familiar with. 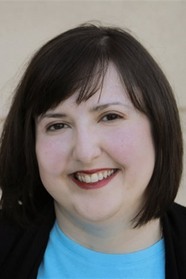 Amanda Scott, USA Today Bestselling Author and winner of Romance Writers of America’s RITA/Golden Medallion (LORD ABBERLEY'S NEMESIS) and Romantic Times’ Awards for Best Regency Author and Best Sensual Regency (RAVENWOOD'S LADY), Lifetime Achievement (2007) and Best Scottish Historical (BORDER MOONLIGHT, 2008), began writing on a dare from her husband. She has sold every manuscript she has written. Amanda is a fourth-generation Californian, who was born and raised in Salinas and graduated with a Bachelor’s Degree in history from Mills College in Oakland. She did graduate work at the University of North Carolina at Chapel Hill, specializing in British History, before obtaining her Master’s in History from California State University at San Jose. She now lives with her husband and son in northern California. 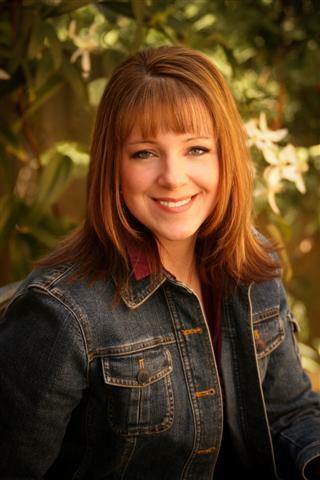 The women of Amanda Scott’s family have been no less successful than the men. Her mother was a child actress known as Baby Lowell, who performed all over the west coast and in Hollywood movies, and then was a dancer with the San Francisco Opera Ballet until her marriage. Her mother’s sister, Loretta Lowell, was also a child actress. She performed in the Our Gang comedies and in several Loretta Young movies before becoming one of the first women in the US Air Force. Scott's paternal grandmother was active in local and State politics and served as president of the California State PTA, and her maternal grandmother was a teacher (and stage mother) before working for Monterey County. The place of women in Scott’s family has always been a strong one. Though they married strong men, the women have, for generations, been well educated and encouraged to succeed at whatever they chose to do. 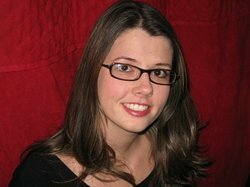 Amanda Scott’s first book was OMAHA CITY ARCHITECTURE, a coffee-table photo essay on the historical architecture of Omaha, written for Landmarks, Inc. under her married name as a Junior League project. Others took the photos; she did the research and wrote the text on an old Smith-Corona portable electric. She sold her first novel, THE FUGITIVE HEIRESS - likewise written on the battered Smith-Corona in 1980. Since then, she has sold many more books, but since the second one she has used a word processor and computer. Twenty-five of her novels are set in the English Regency period (1810-1820). Others are set in 15th-century England and 14th- through 18th-century Scotland, and three are contemporary romances. 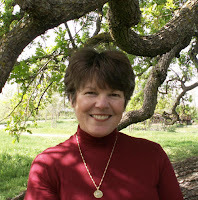 Many of her titles are currently available at bookstores and online.